Basis is a mission-driven company based in NYC committed to good food for all. We are passionate about good food that is traditional, localized, and 100% traceable. We partner with producers and local communities to sell good food at affordable prices. Farm to Chef is a service provider that helps to bring together small and mid-size farmers with the growing number of wholesale customers (including chefs, retailers, and institutions) who want to buy the traditional, localized and 100% traceable food that they produce. 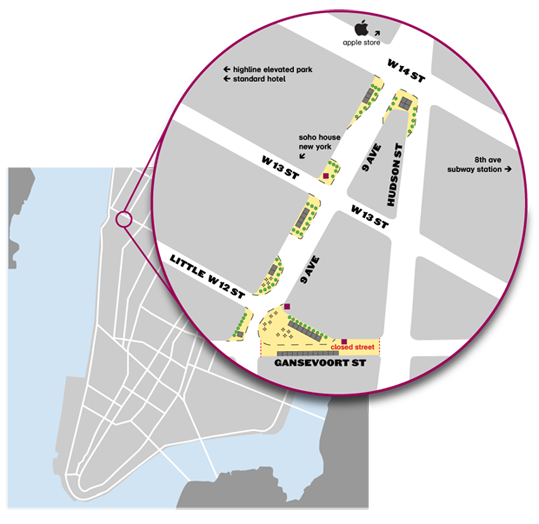 The Meatpacking District Improvement Association (MPIA) is a 501c3 neighborhood business association dedicated to promoting the area’s business interests, producing events and managing a marketing and public relations campaign for the neighborhood. Additionally, the MPIA recently became a partner of the NYC Department of Transportation (NYC DOT) to redesign, manage and maintain the public spaces of our neighborhood. © 2011 Basis Holdings LLC. All rights reserved. 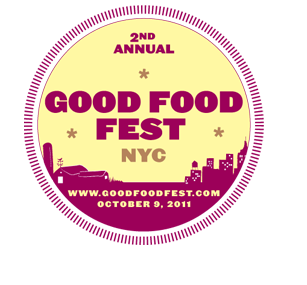 We are excited to present the 2nd Annual GOOD FOOD FEST in celebration of the season’s harvest. This year's event will feature traditional, locally-sourced, 100% traceable food from over 50 family farmers, local top chefs and artisanal producers. The GOOD FOOD FEST is free to attend. If you wish to sample tastings from participating chefs and restaurants, tickets are available for purchase online. Following the day of exciting revelations in local food, from our chefs and artisanal producers, walk a block over to the Standard Biergarten for a VIP GOOD FOOD FEST reception, again with the proceeds benefiting the FEED Foundation and God's Love We Deliver. Join our producers and chefs for food and drink between 4:30 and 6:30 in the private rooms off of the Biergarten. The perfect way to cap a day of eating and supporting your local food pioneers.